Traveling to downtown Des Moines, Iowa allowed us an opportunity to park our car and stretch our legs. This area is very walker friendly and we knew we would be wanting to burn off the extra calories that were sure to be heading our way. One of our favorite parts of visiting new destinations is sampling the flavors of the city. Since we all have to eat to survive, we assume you all enjoy good meals as much as we do. The task of identifying which eateries we will visit falls on my shoulders, and I gladly take up the challenge. Our goal is to search out locally owned places (Or at least regionally) that offer a good sampling of the various cuisines found in the area. One of the best ways we have found to uncover the local favorites is to ask. We will join a Facebook group that is specific to the food lovers of the particular destination. From them we can glean some excellent suggestions, as well as interesting background information. While we wish we could visit every single place they suggest, in the end we must narrow the field to the ones that fit our itinerary best. The morning we spent at the downtown Farmers Market allowed us a chance to pop into Java Joe’s for a cup of morning wake-me-up. This local chain has an eclectic retro vibe that is perfect for its Court Avenue District location. With our caffeine covered, it was time for more exploring. Java Joe’s does offer some breakfast bites as well, but we decided to test out some of the items being sold at the market. Lunchtime for us is usually reserved for sandwiches of some style. During a busy day of exploring, it is important to refuel. We have found that this particular meal time is good for a protein boost, and a nice juicy burger really hits the spot. The Walnut is the brick & mortar child of a long loved food truck named The Food Spot Truck. Adding the non-moving destination to their portfolio has allowed them to increase the number of fans they can serve. We stopped by after a visit to the Pappajohn Sculpture Park and soon found out why they are so popular. Dishes like their Mushroom Swiss Burger and Mediterranean Chicken Pita offer plenty of flavor, while filling us up for more downtown time. Since you have the camera handy, why not check out some of the local art that can be found in and around the east Village and other downtown areas in Des Moines. There are some nice murals, tucked away on the sides of buildings, just waiting to be discovered. It pays to get out of the car and do some exploring by foot. What could be better than sampling a different cuisine in a new destination? How about a restaurant that combines two cultures into one great space. Welcome to Fong’s Pizza. From the outside you expect to find a Chinese eatery and the feeling continues inside. Then the menu comes out and you see it is filled with pizza pies. But wait! These aren’t your standard everyday pizza toppings. Here’s where the Chinese meets the pizzeria with flavors like General Tso’s or the ever popular Crab Rangoon. Finish off your meal with a sweet treat of Raspberry Cheesecake Egg Rolls. While the other desserts were scrumptious, for us nothing holds a candle to some sweet ice cream. This is especially true in the summertime. When planning our Des Moines weekend, we looked high and low for something unique to that city. 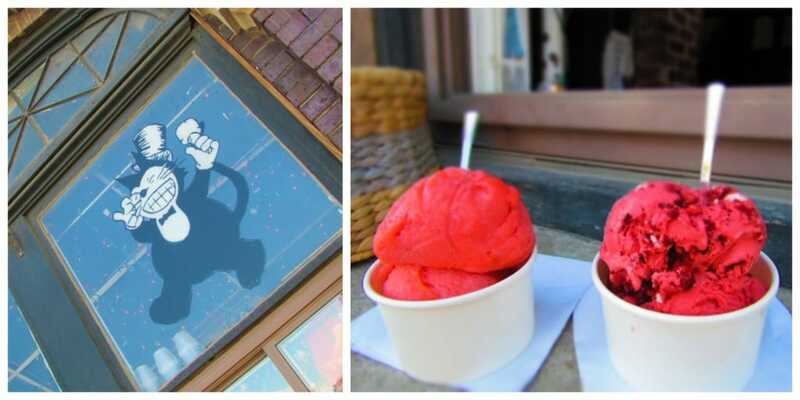 When we stumbled upon Black Cat Ice Cream, we knew we had hit the motherlode. This small batch business makes their products with quality ingredients, which is apparent in the taste and creaminess. 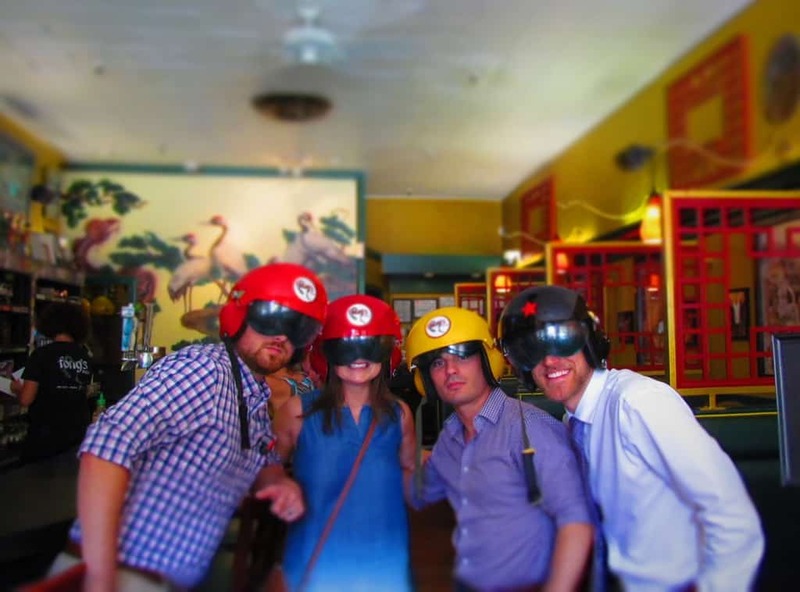 It was a perfect accent to the amazing foods we found in downtown Des Moines. (You can read more about Black Cat here.) 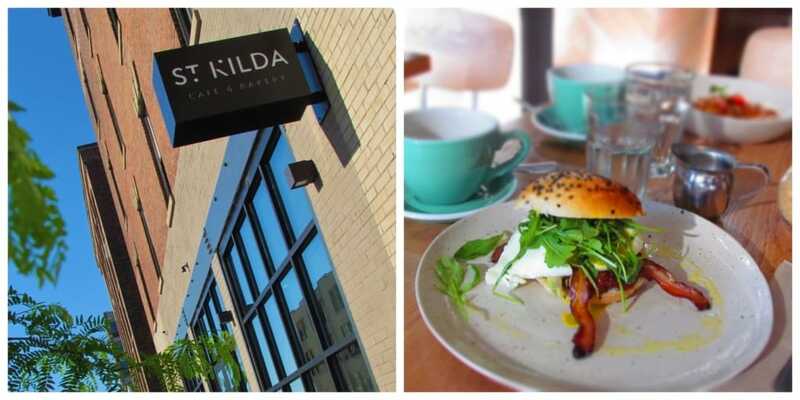 Which of these places look most appealing to you? Let us hear from you in the comments section below. We love getting feedback. Share this article with some of your foodie friends. They’ll thank you later! I loved the headline Munching on Handhelds even if I am not a fan of sandwiches (no rice is not a meal)! I would live to taste those Chinese pizzas though! And local i cream I always try, too! Thanks for this delectable detour! You are quite welcome. Ice Cream is certainly one of our favorite sweet treats, so we look for unique locations in each destination. 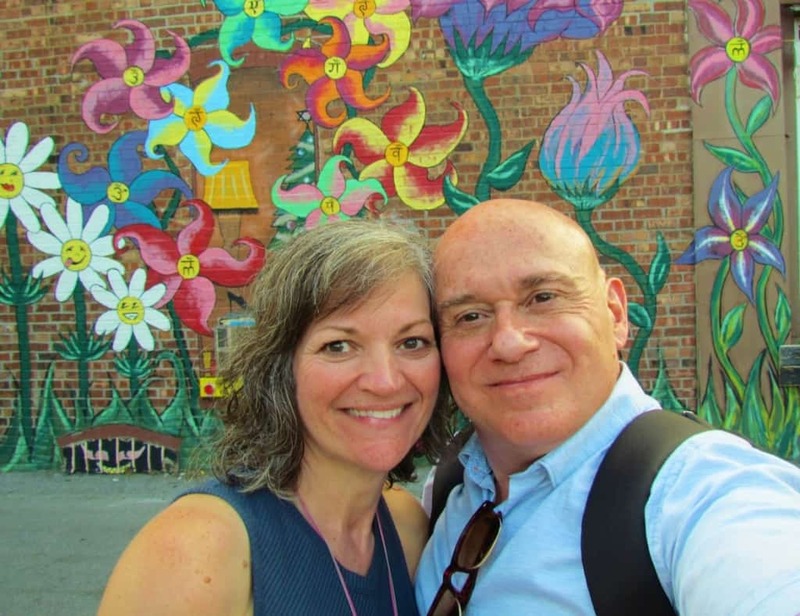 Thank you for the foodie introduction to Des Moines…looks as though you found your way to all the meals of a traveling day, from breakfast to snacks to dinner and beyond. And it’s definitely a good idea to check in with locals for ideas on places to try! Thanks for checking out our article. We find it is always helpful to get the local perspective. Oh Wow! Pinning this as it all looks fantastic. I would have never pictured De Moines as a foodie haven, but it sure looks like it. Thanks for the tip about joining a FB food group of the area one is visiting..brilliant! You are so welcome. We have found this tip to be one of our best way to do reconnaissance prior to our travels. 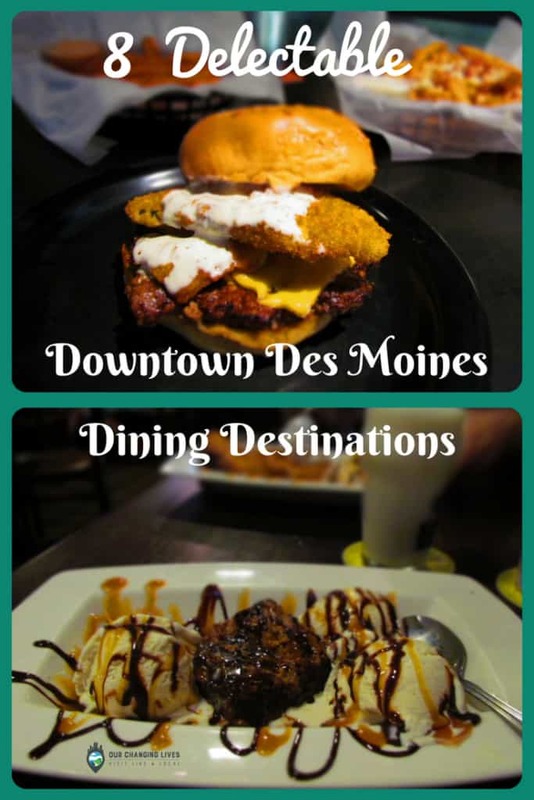 Food is such a great way to get to know a city, and I think I would definitely like Des Moines! 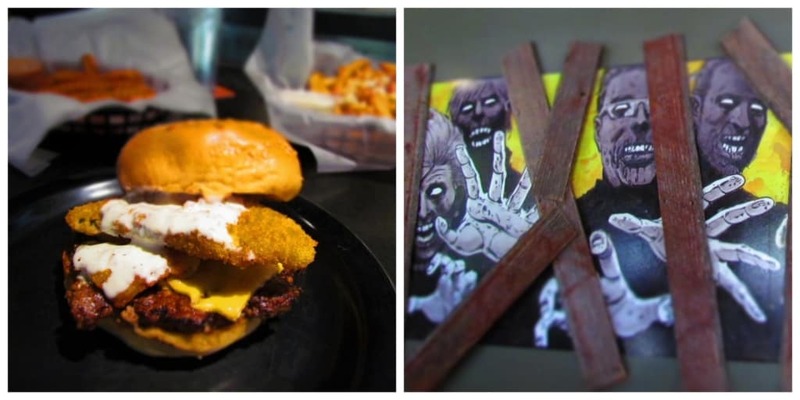 I’m drooling already over all that deliciousness, and I’d love to visit Zombie Burger! We are betting you would have a great time at Zombie Burger. It’s a special visit when a restaurant is themed.